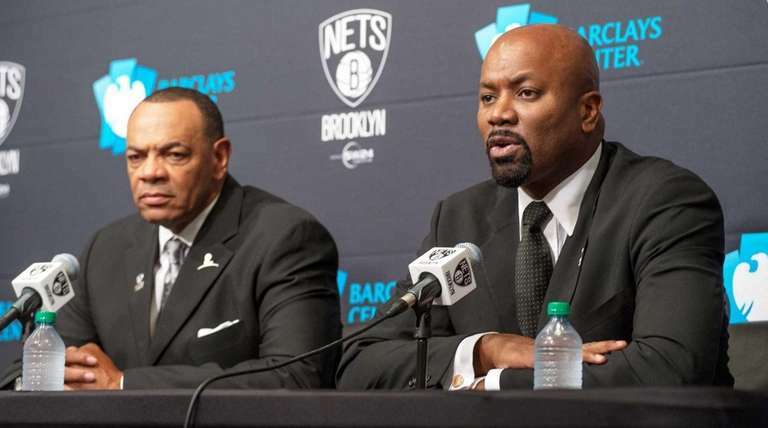 In a season that has been going downhill quickly, without the prospect of draft picks or potential trade pieces to turn things around, the Nets made two major moves Sunday, firing coach Lionel Hollins and removing Billy King from his role as general manager. The decisions were announced in a release from the team, which included remarks from owner Mikhail Prokhorov, who will address the media at Barclays Center on Monday morning. King, who will be reassigned in the organization, made huge gambles as the Nets tried to establish an identity in Brooklyn. None of these deals made the team a title contender, and all of them left the franchise with little short-term or long-range options. They are 10-27 in an increasingly competitive Eastern Conference, having lost nine straight home games and four in a row overall. He was hired by the Nets, then based in New Jersey, in 2010 and kept his job last summer after then-coach Jason Kidd — the greatest player in the team’s NBA history — asked for authority over personnel. The team refused and allowed Kidd to leave and become coach of the Bucks. He was replaced by Hollins, who got the Nets into the playoffs last season despite a losing record but could not lead them to respectability this year. Assistant coach Tony Brown will take Hollins’ place on an interim basis for the rest of the season, starting with Monday night’s home game against the Spurs. King’s job will remain open “until a replacement is named,” the team said. It was clear that King was rolling the dice when he traded for Deron Williams on Feb. 23, 2011. The general manager and other people involved with the team saw Williams as a franchise cornerstone. In an effort to persuade him to stay once he became a free agent, King made other deals to surround him with veteran players, notably Joe Johnson and Gerald Wallace. In each of the trades for Williams, Johnson and Wallace, King gave up a first-round draft pick. Williams did not develop into a marquee star, but King made one last big play to create a big-name team, sending three more first-rounders (and the right to swap picks in another season) to the Celtics in a megadeal that brought future Hall of Famers Kevin Garnett and Paul Pierce. All of those trades have left the Nets without anything to show for their near-certain low finish this season. King’s departure occurred only days after a report surfaced on Eurohoops.net saying that Prokhorov is considering hiring a Russian basketball executive, Andrey Vatutin, president of Moscow CSKA, to be the Nets’ general manager. Nets officials have not commented on that report. “I want to thank Billy for his hard work in the development of the Nets. At every step of the way, he has been aggressive in his quest to build a winning team and has been a key factor toward the Nets making the playoffs for each of the last three seasons,” Prokhorov said in his statement. “Beyond this, he has been a tremendous friend, wonderful colleague, and loyal partner and we wish him success in the future. “I also want to thank Lionel for his efforts and dedication on behalf of the Nets franchise,” the owner said. Assistant coach Paul Westphal, a close friend of Hollins, said on his Facebook page that he also is leaving. Hollins at times seemed frustrated, philosophical, defensive or irascible about the team that is ahead of only the 76ers in the Eastern Conference standings. He regularly pointed out that the team just couldn’t seem to pull through in fourth quarters — never saying that opponents simply have deeper, more talented rosters. In the past week, when he was asked about the bumpy transition after a season-ending injury to starting point guard Jarrett Jack, he pointed out the team also had “some ugly moments” when Jack was in the lineup. With that 103-89 defeat, the Nets (who secured the No. 8 spot in the Eastern Conference playoffs last season) fell 11 games behind the Pistons, who currently hold the No. 7 spot. The conference clearly is much stronger, what with improvements by many teams, including the Knicks, who will visit Brooklyn on Wednesday night. Speculation about the Nets’ coaching and general manager positions is bound to raise the name of Kentucky coach John Calipari, a former Nets coach and close friend of Brett Yormark, chief executive officer of the Nets and Barclays Center. 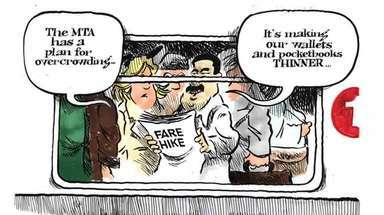 It is not known what, if anything, would lure Calipari away from his prestigious and lucrative job in college ball.